Create a successful, fun and joyful bash for the upcoming occasion with our wide range of Party Supplies in colorful and playful designs. We guarantee low prices and high quality with our stylish picks that match different occasions perfectly. 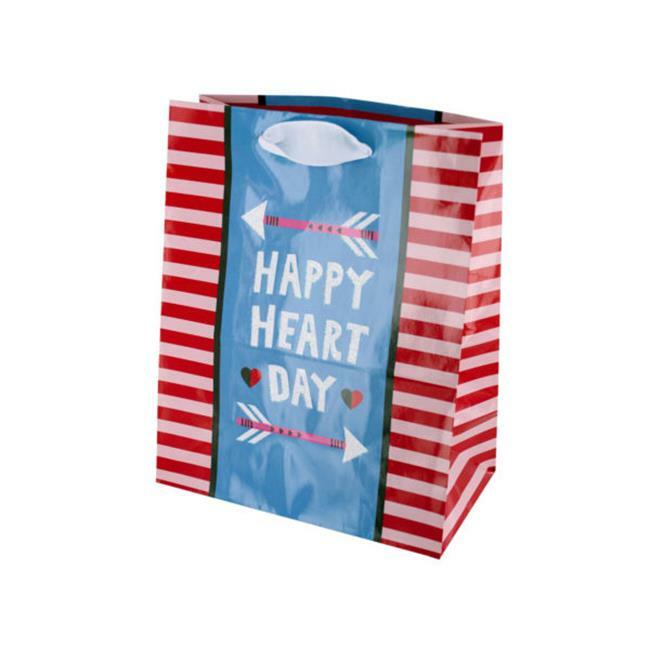 Make someone smile with this Happy Heart Day Striped Gift Bag featuring a glossy paper bag with the words ''Happy Heart Day'' in glitter with arrows and white ribbon handles. Measures approximately 7.75'' x 4.375'' x 9.75''.